Spring can be a season of surprises. 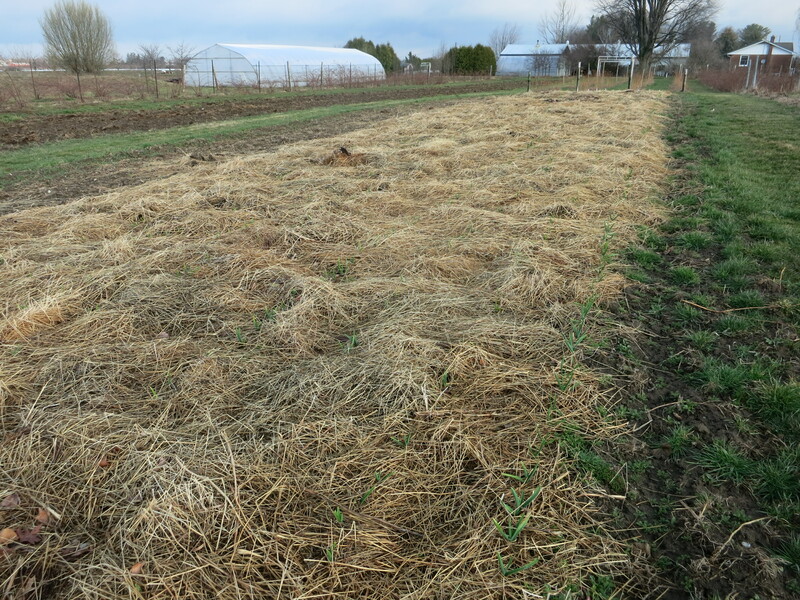 Last week we were out pruning raspberries, in our T-shirts. 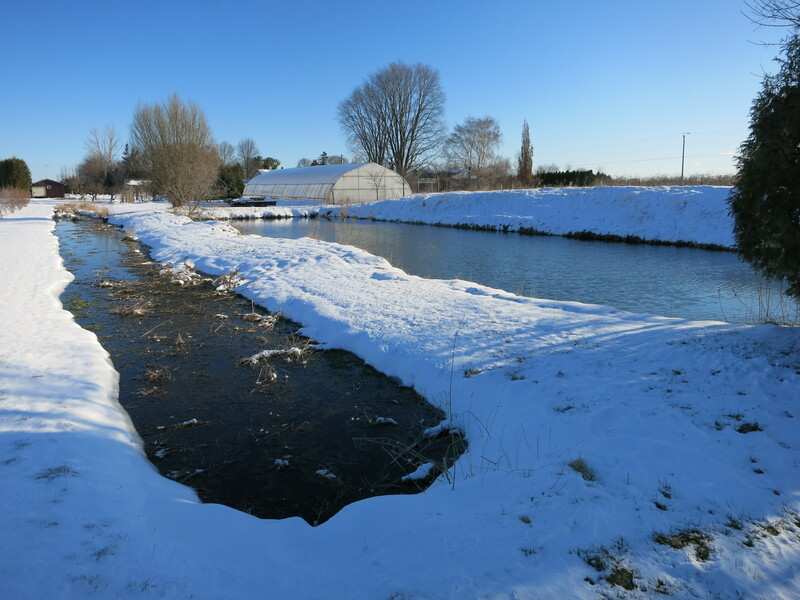 This week we were out shovelling snow, in full winter attire (and still feeling cold!). 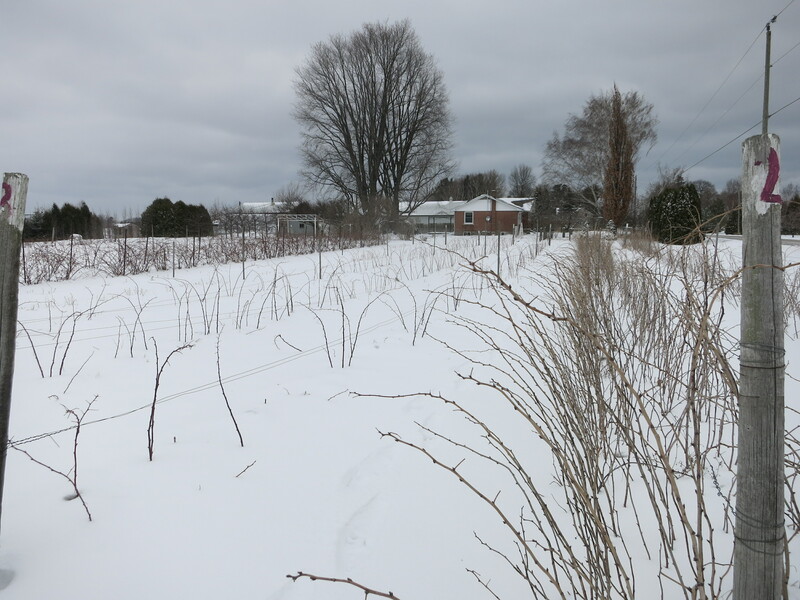 There was too much snow to prune raspberries. 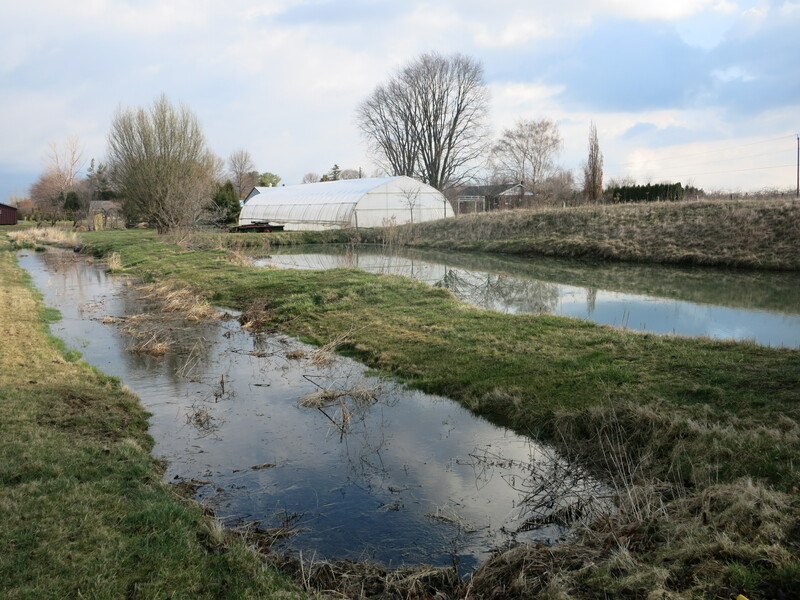 The heavy rains last week caused the water level in the pond & ditches to rise. 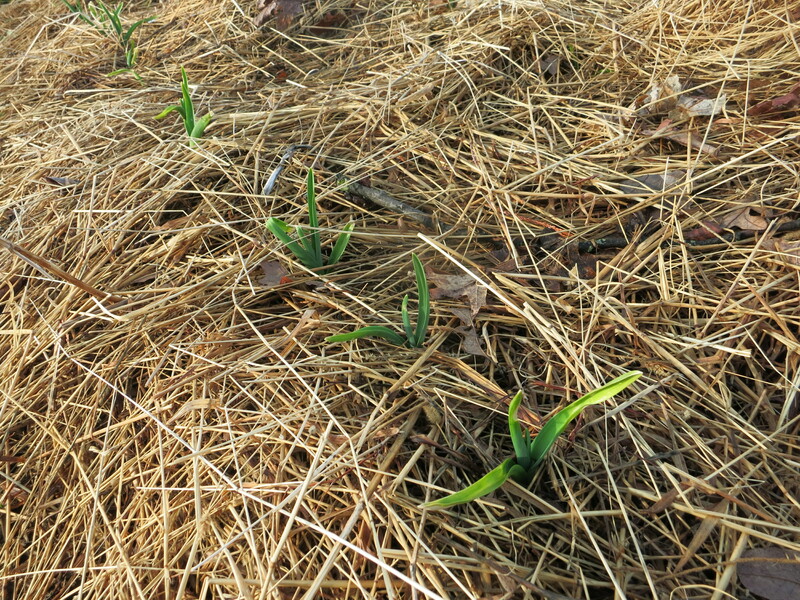 The garlic was starting to pop up through the straw mulch. 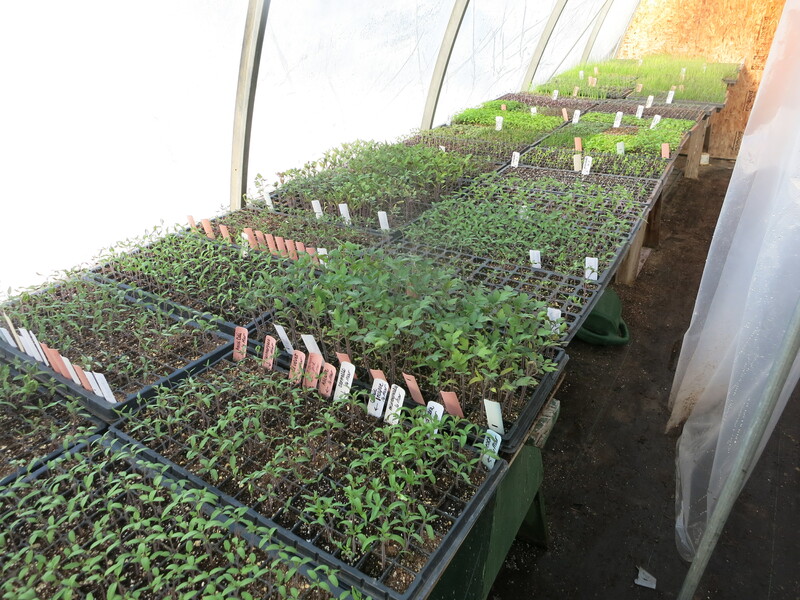 Our smaller greenhouse is totally full of young seedlings, eager for sunshine & warmth. Yesterday’s bright sunshine was wonderful for them, but today it is back to clouds & flurries & showers. 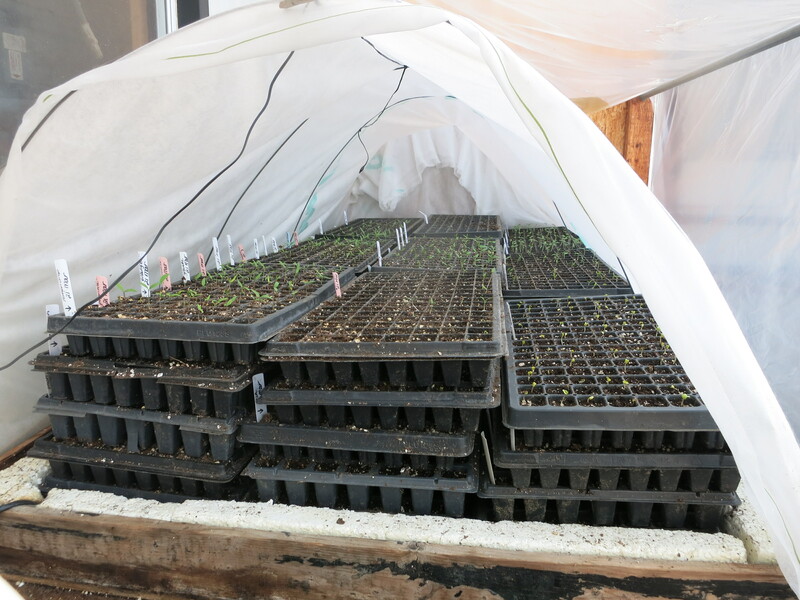 Many of the plants are ready to be transplanted into bigger pots, but until the nights stay consistently warmer, we dare not move them into the big greenhouse. Yet we keep seeding, even though we are out of space. 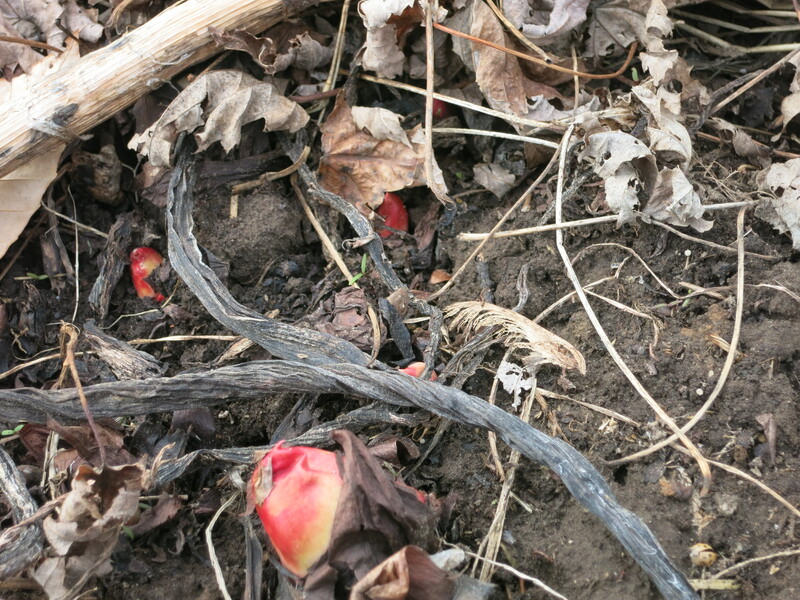 Another surprise of spring – as unwelcome as the snow! 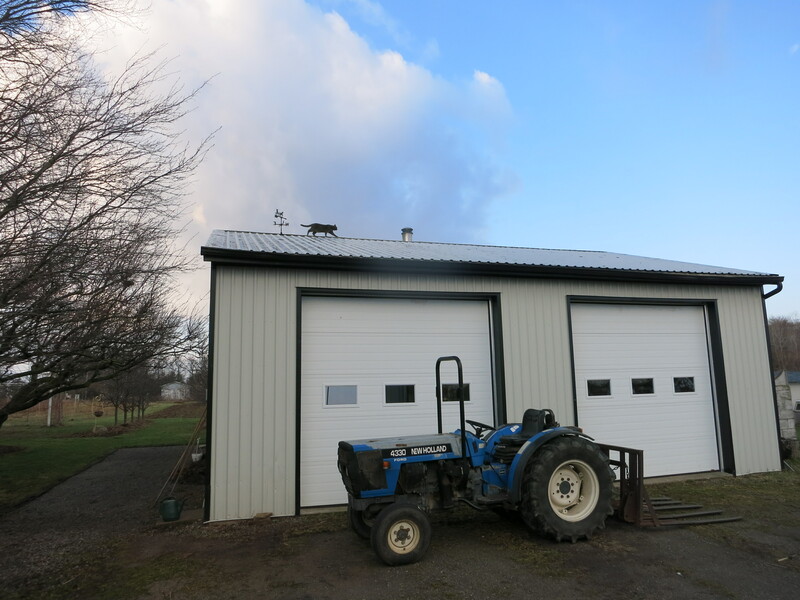 Do you see it up there on the roof? 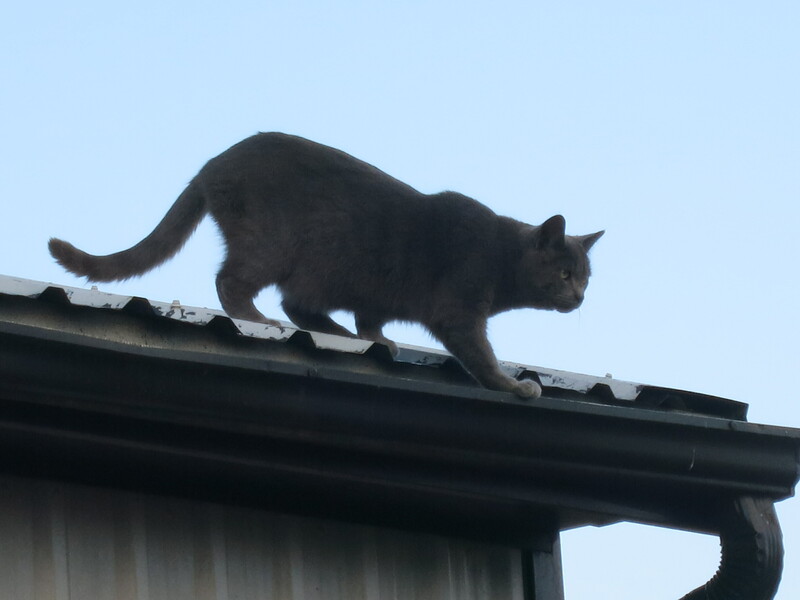 Both young cats have been on the roof of the shop once. How do they get up there? 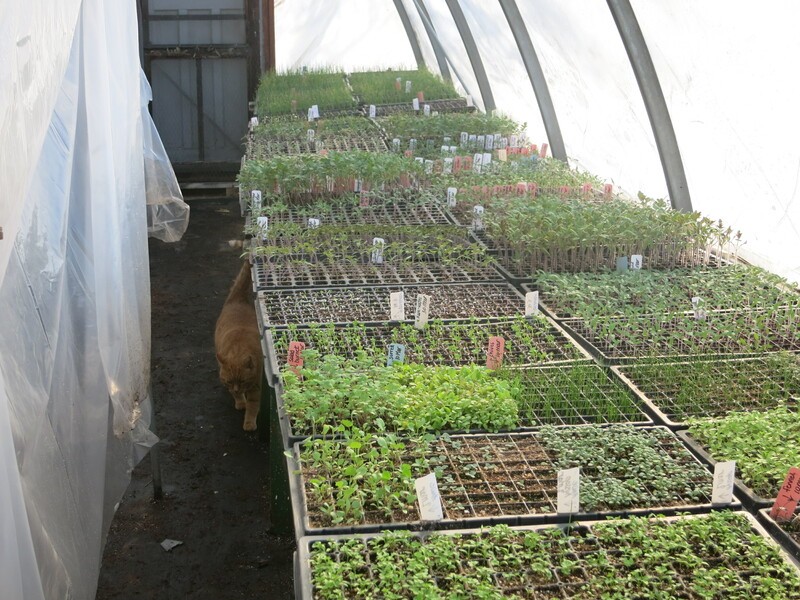 By climbing up the greenhouse plastic – it’s easy enough to do with claws. The results for the plastic are not pretty. I have strongly encouraged them to refrain from such practices! We’ll see how well they obey. Here’s hoping for warmer weather & sunshine to brighten up our spring!